Irma came and went and we are alive and well. 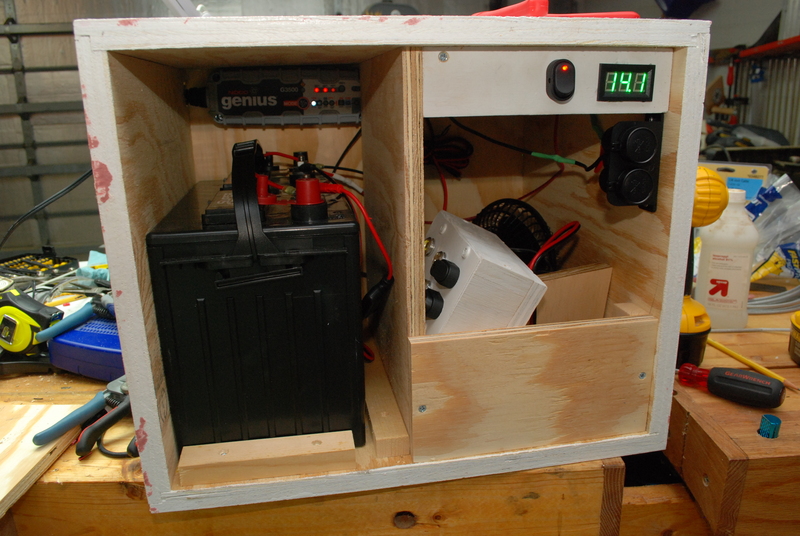 The battery box performed admirably, but didn’t provide enough cooling. 80+ degree days and nights with very high humidity meant we lost the fridge faster than I had hoped, and sleeping was very dreadful at best. In the end we broke down and now own a generator and window shaker. As always you learn a lot from these experiences. I am no hurricane expert, but have gathered enough knowledge that I think a guide is in order. For the leathered 3rd generation native Floridian, and the newcomer to our wondrous state. Expect a guide to be posted in the coming weeks. Until then my only projects this month have involved getting myself and others ready for the hurricane, and cleaning up afterwards. Here is the pile of yard debris I have collected from the storm. 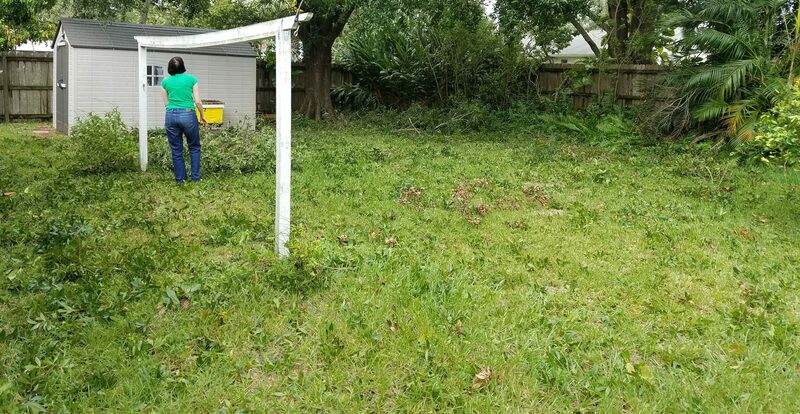 I still need to trim the palm tree on the left, and there is a lot of oak trimming that could go on near my shed. We had quite a storm pass through here recently. Matthew was the highest wind hurricane I had ever dealt with, though not the biggest or most destructive. Still, I am a home owner this time, so I have a lot of skin in the game. 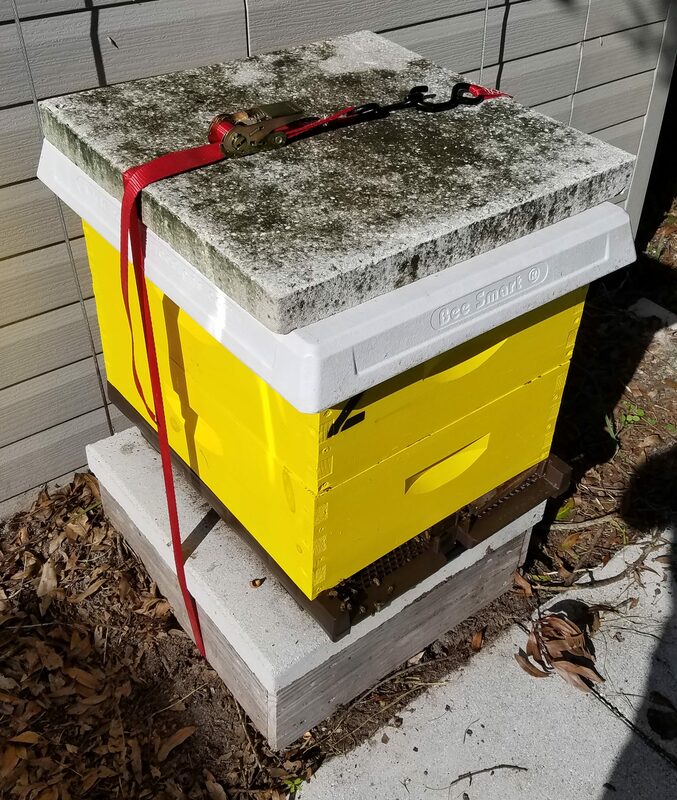 The shutters went up, the yard was cleared, the bees were hunkered down, and we got out of dodge. The base is quite heavy due to the paver and amount of wood. I threw another paver on top and strapped around everything so the total pile was tied together was over 100 pounds. 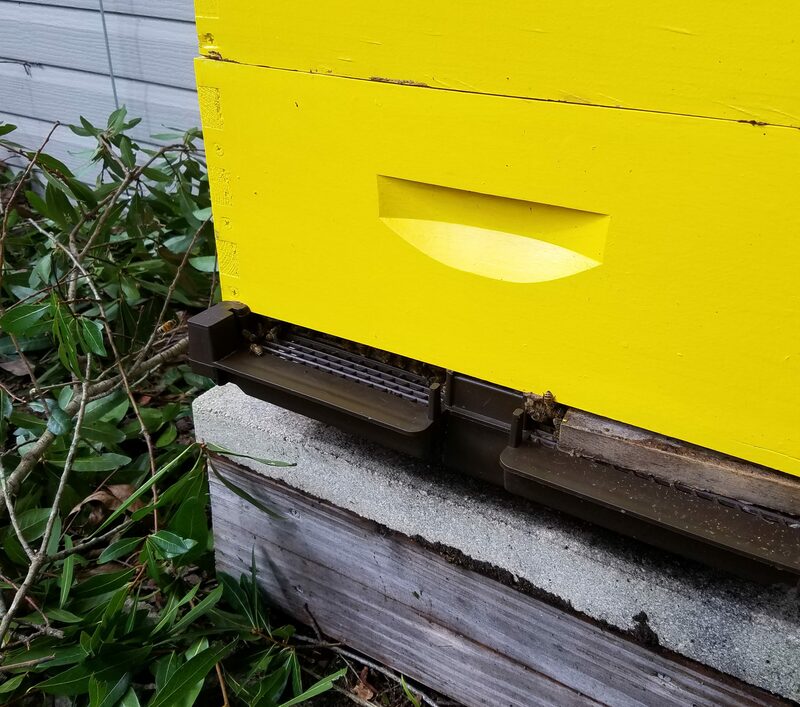 We evacuated to stay with friends, and came back to a yard that was a mess, but happy looking bees, and an in tact house. My fence repair from a few weeks back was perfectly timed. No pickets were lost and the fence is still standing. There is a new lean though. Posts near the ones I repaired appear to be broken now. Instead of removing any of the posts like I did last time, I just put new ones in next to the old ones. It doesn’t looks as good and is a bit lazy, but was a ton less work. 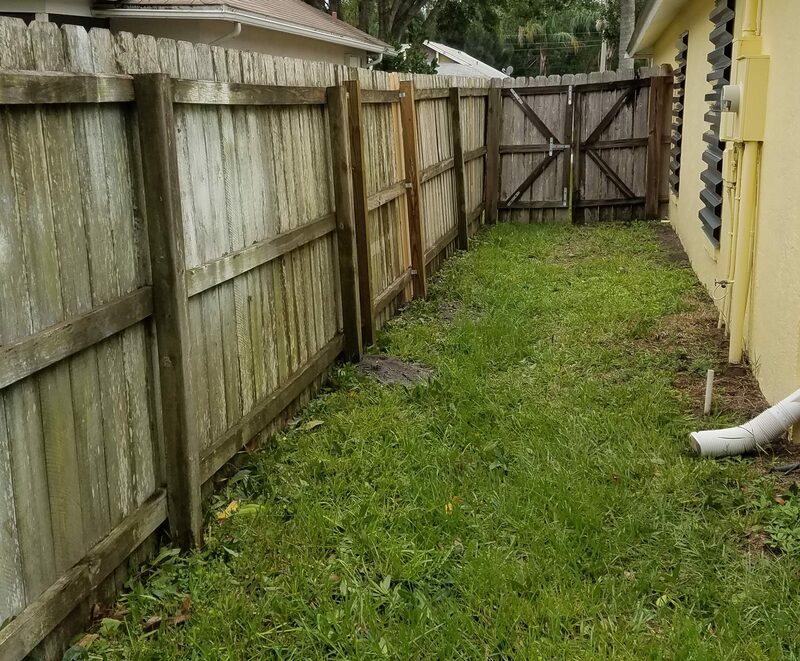 I might be able to work those old posts off at some point, but for now they were too well connected to the horizontal portions of the fence. 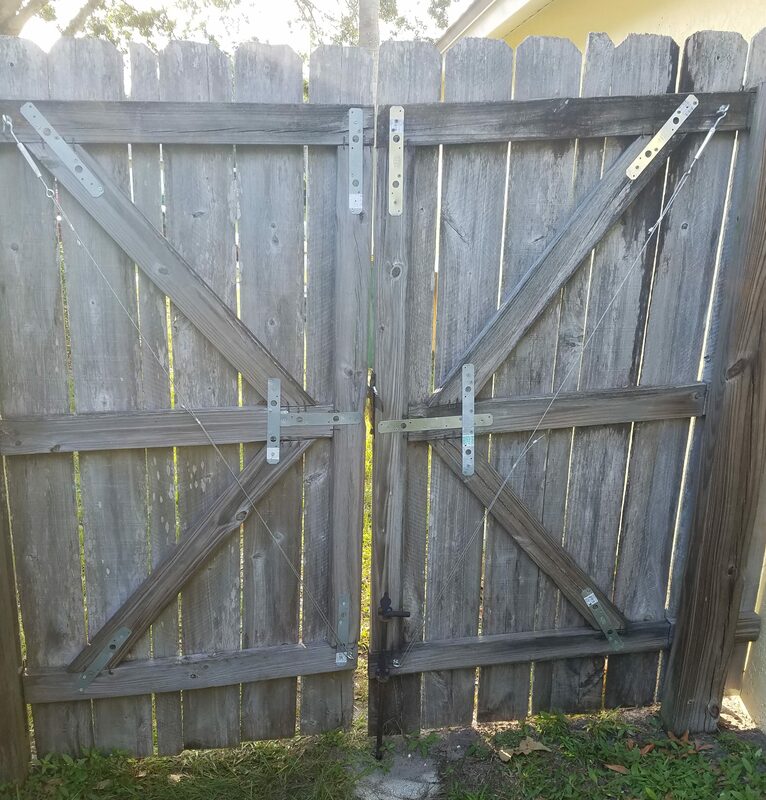 While I was at it I replaced some of the gate hardware that was in bad shape, added more connecting straps, and some anti-sag cables. The cables were past due, the two doors have rhombused a bit and rub at the tops when trying to close. Oh well, it ought to buy me another few years. In all, we are past the hurricane without any major issues. Now if they could just come by and get the piles of yard waste.